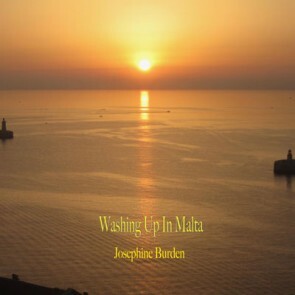 Washing up in Malta is an intimate story of two women and their relationship with the tiny island of Malta in the Mediterranean Sea. Grace leaves Malta prior to WW2 and marries her Scottish sailor. Her daughter, Jessica, returns after a lifetime of travel. Two different lives reflect a century of turmoil and social change yet mother and daughter share resilience and love in finding their own paths. Over 7.5 hours of listening pleasure. Please note: this title is not available for direct download from IP. It is available for sampling and album purchase from CD Baby here: http://bit.ly/2MHFqBW The prices listed on the IP Store include a handling charge if we have to purchase the album from CD Baby on your behalf. "I was fascinated by the characters in this book. Both my parents were born in Malta, so I could totally relate to the stories. Can't wait for the next installment...."
"I really enjoyed reading it. What a great travel book! But it’s much more than that.... I'd like to read it again. The people and the relationships fascinate me and now I understand why you are in Malta. Thank you so much for your story. I hope many people hear it and find treasures in it."